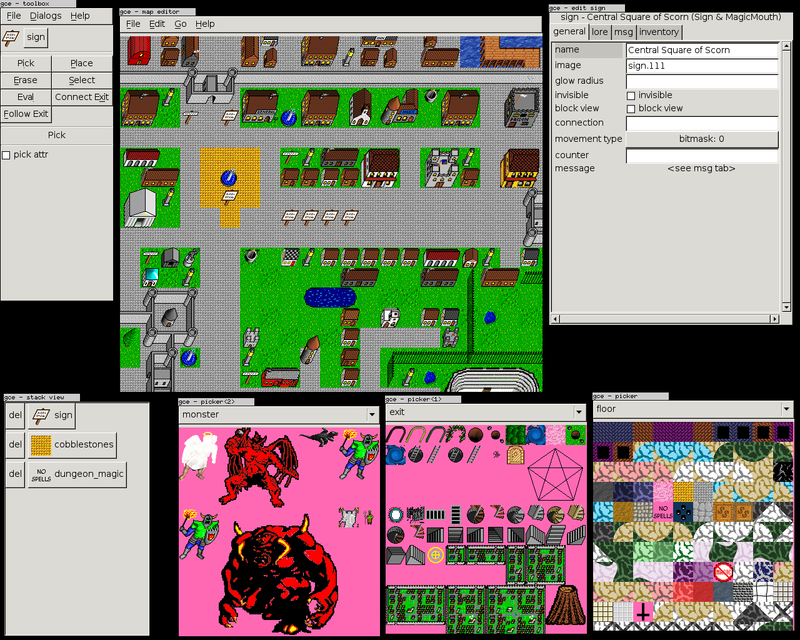 GDE is a map editor for Deliantra. It is written in Perl and uses Gtk2 as GUI toolkit. There is a manual included in GDE. You can reach it via the Help entry in the main window. For contributors we provide a development VM, which comes with all tools preinstalled, check it out: Deliantra Development VM. If you are interested in building the editor yourself you might want to checkout the CVS respository of it, which you will find on the Contribute Page. Please send bug reports, suggestions and ideas to elmex@ta-sa.org. 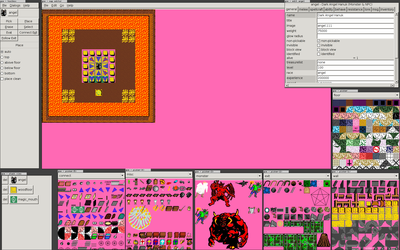 Linked to the Deliantra Development VM, where the editor is provided in pre-installed form, ready for editing. A new windows version has been uploaded, with a few minor fixes here and there. A better working windows version has been uploaded. Another 1.2 version, no real new features but lots of bugfixes and minor improvements. Released version 1.2 again, rebuild binaries. Released version 1.2, minor bugfixes and features added. 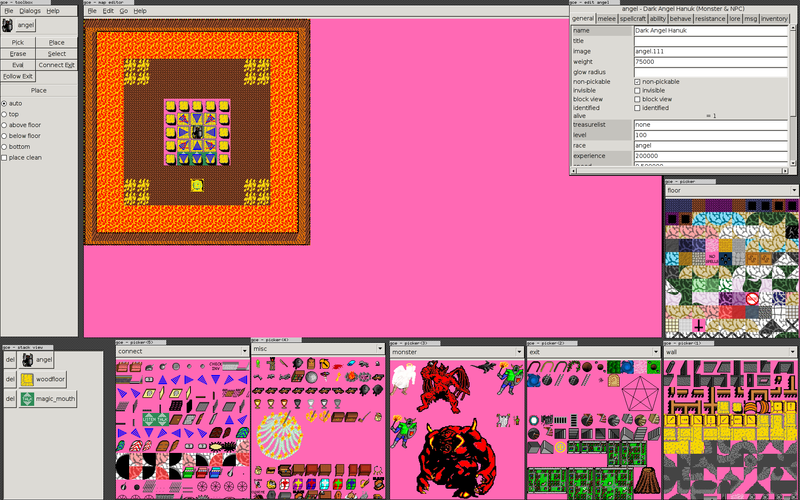 Released new binaries of version 1.1, with a bug fixed where the archetypes weren't correctly found when starting GDE. Released new binaries of version 1.1, with two bugs fixed: stack view didn't update correctly under bigtiles and the msg/lore textview in the attribute editor was broken. Released new binaries of version 1.1. 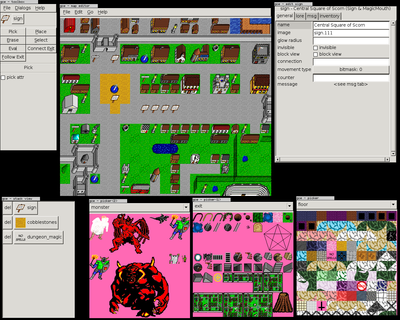 Released version 1.1 (Features: Better inventory editor and context menus in map window and pick windows). Released version 1.0 (Features: Type-documentation in attr. editor and autojoining of walls). Released new binaries, where a bug with wall placement was fixed.